In a Galaxy Far, Far Away… and yes, I am pregnant in this picture! It wasn’t dark, paleo-friendly chocolate either. It was a big, square Ritter bar with nuts. Not the little squares that you break off the grid–but ALL the little squares. Considering the mountain marathon I have coming up in September, I’ve been pretty good about my diet. I eat lean meats and veggies. No sugar, no gluten (as always), no nuts, eggs, fruits or grains. I ‘cheat’ on Friday with my gluten-free pizza and a glass of red wine, while the kids and I watch a movie; and Pancake Morning (or lately, Crepe Morning) on Sunday. IF I have chocolate, it usually coincides with Movie night. But TWO bars?! This was a first. I can’t just eat chocolate and enjoy it–no, I have to psychoanalyze it. I think it started with my eldest son saying he was buying a one-way ticket to Guatemala. I’ve been preparing myself for his launch for a while, and honestly, I’ve been happy for him. But it’s just that talk about airline prices made the event a little too real. But I know how it is when you’re waiting for life to start. 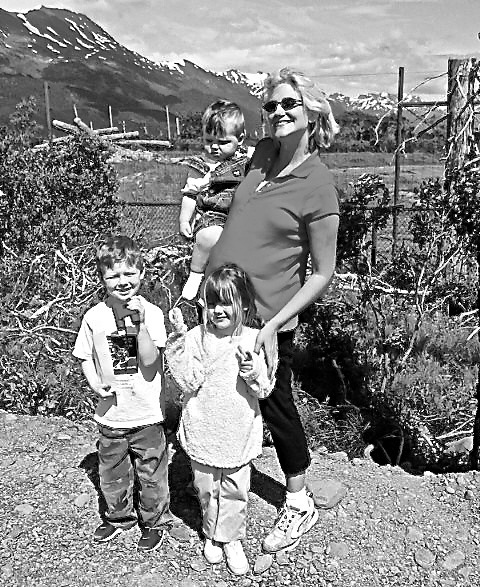 While I LOVED raising my kids in Alaska, I always had this feeling that life had not quite begun for me. That while I WAS involved in the toughest, most important job on earth (which ironically included mind-numbing bouts of Dora the Explorer), there was always this sense that there was something else out there that would light the fire in my soul. For some women, child-rearing is that spark–and they are good at it. They have their babies, they adopt, they homeschool, and I truly respect them for how well they do this. But no matter how much I enjoyed it, and no matter how good I was at it–it wasn’t quite me. Not quite. It’s the same with teaching. I love interaction with the students. I love being there when the ‘light bulb’ clicks on. But it’s still not quite me. But if I stop over-thinking, the words will come. And before I know it, I have something to say. When I was writing my fiction manuscript, I would read a new chapter to the kids every morning at breakfast–and even though it was course and unrefined, they loved listening to the adventures of the main character. We were transported from those dark winter days, sitting by the sunshine-lamp at the breakfast table, to another world where animals could talk and girls could fly. While I can (and do) write non-fiction, fiction is my passion, my true love, and hopefully the words I craft can help people along the way. I am a firm believer that even fiction can make lives better. I mean, why do we have such a love for Cinderella stories or happy endings? It’s because fiction gives us a sense of the good things in life. That life CAN and SHOULD be lived to the fullest. It’s hard work though. Cinderella did get stuck with all the dirty chores and emotional abuse before things turned around for her. And while we can’t always expect a Fairy Godmother, we can work hard towards our dreams. Why go through life without dreams? And so…with the words one-way ticket and Guatemala in my mind… I prayed that I would have the strength to let my son go. After two bars of chocolate and a little crying, I felt genuinely happy for him. Because I know how it is to feel stuck. To feel like your real life hasn’t started. And our time on earth is very limited. It should never be wasted. Marathon running, CrossFit, writing–these things are part of me. They shape who I am as a person. Parenting is also just one part of my life–not the whole of it. Because if my only job is to be a parent, then I lose myself. And it makes launching children into the world nearly impossible. I want them to live their lives and strive for their dreams. I just have to let go. Of the kids, as they become independent. Because it doesn’t really help after all. This entry was posted on Thursday, July 31st, 2014 at 8:01 am	and tagged with chocolate, Crossfit, diet, eating habits, empty-nest, healthy-living, kids, marathons, parenting and posted in Crossfit, Food, Health, Life, Marathons. You can follow any responses to this entry through the RSS 2.0 feed.